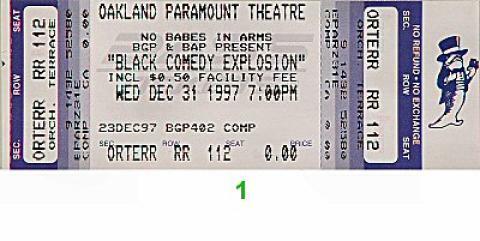 The Black Comedy Explosion at the Paramount Theatre on New Year's 1997 featured several comedians who would become familiar names on the nightclub circuit and on television. Jamie Foxx, D.L. Hughley and Cedric the Entertainer had even more successful careers ahead of them.